The Black Pearl Basketball Academy, headed by Legendary NBL Hall of Famer Cal 'Black Pearl' Bruton is running a brand new nationwide basketball tournament Bruton 2 on 2. Prizes will be on offer for winners of each division with a bonus opportunity to represent their state in a national finals. Grand final prize will include cash giveaway or tickets to the 2013 Hype NBA tour* to see and meet some of the top NBA superstars. I was a young wild kid, in trouble, came from a bad neighbourhood and on a bad path when basketball came into my life. It gave me a little, so I embraced it. That was when basketball led me to Cal at age 16. Straight off the bat, Cal introduced himself as "Hi, I'm Cal Bruton, the Black Pearl." He told me I had alot of talent but I looked to him like I had a pretty big chip on my shoulder and would I like to be a part of his academy.He instantly took me under his wing and accepted me, probably as a challenge! (which I think still challenges him today!). He gave me guidance throughout a tough youth and led by example as a man. He became a father figure to me,which I still appreciate today. Thanks Cal,I owe you my basketball achievements,my career and my life that you lit up for me. Nbl team MVP award and other awards. Cal was my SBL and NBL coach...And he played one on one with me at Koondoola Park which was my inspiration! Finals. We all knew he was supposed to be on that San Antonio Spurs roster as well. Not surprised of your accomplishments down under with the successful camps and array of players such as Gaze, LSU's Al Green and the others. As Nate "FOOTS" Revels commented, he was a Michael Jordan to us. I will be looking forward to workin toward to expanding your brand, the Bruton 2 on 2 here in Miami to supersede my teams. Consider it done. Most could write their own book on Cal, a well respected, dignified being wherever he goes. I study and teach leadership and I have a great love of sport. So when I watched the Wildcats play I was always impressed by Cal Bruton. He was an on court and off court leader. So one day when I met him in an elevator in the city (that's right, an elevator) by the time we when from the 25th floor to the ground floor we became life long friends. Cal has run programs on leadership and teambuilding for many companies with me. His smile, stories of overcoming hardship and his resilience has provided inspiration and motivation to many business and government leaders. After one talk, I was standing next to an Aboriginal kid and Cal asked him what the kid was going to be when he grew up. In a 10 second conversation, Cal convinced the young boy he could play for the Wildcats or do anything else in life he wanted to be. He changed a life right there. At a personal level, Cal is an inspiring leader for my kids. He knows each of them personally and when they see his smile and hear his enthusiastic black American voice, their eyes light up and their lives are good again. That is what I learned leaders and Cal do. Basketball has been dying for an event such as this for a long long time. Everyone who is a lover of Basketball will remember the hours spent in their backyards playing 2 on 2 with their brothers and friends. For all those backyard heros who thought they were the best 2 on 2 side going round, then this is the tournament for you! Now everyone has the chance to pit themselves against the best of the best. And to top it off, if youre a true basketball fanatic, who would turn down the chance to participate in a training camp, run by one of the true legends in the NBL, Cal Bruton himself. 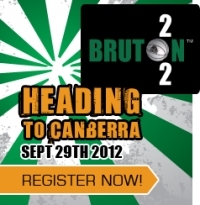 With the Bruton name behind it, you can only imagine that this event will be a true a success. My first memories of Cal was when I was a young 10 year old boy playing at his Cal Bruton & Sons Basketball Camps at the Joondalup Basketball Stadium during the school holidays. The fun atmosphere and Cal's emphasis on learning the fundamentals of the game while also making it competitive and enjoyable was where I first fell in love with the game of basketball. I continued my training with Cal then over at the Bouncer Sports Center in Perth at his Black Pearl Basketball Academy and for the 3-4 years I worked out with Cal there I improved my game immensely which lead directly to myself making my first U16 WA Metro state team at 14 due to the fundamental skills that Cal had drilled into me at a young age. A few years later I realized a dream of mine and attended the AIS on scholarship in 2002 which reunited me with Cal as he was the Head Coach of Canberra Canons at the time. Cal as he always has, made me feel very welcome at his home and always helped me out whenever needed, and provided great words of advice to an inspiring basketballer. After I finished playing my college basketball in the US I knew my passion was in coaching and this was directly due to seeing the passion Cal had for the profession when he was coaching me. A lot of the fundamental skill work and drills I use today as an Assistant Coach with a pro team in Italy and our junior teams are the same drills Cal used to teach me 15 years ago in Perth. Cal has been one of the biggest influences on my life not only from a basketball standpoint but also off the court. Cal's energy, passion and determination make you want to run through a brick wall for him if he told you to do so...he is a true players coach and knows the game inside and out from his Hall-Of-Fame career as a player and coach. Cal is a winner in every way possible and I will forever be in debt to him for everything he did for me while I was growing up. If you are a young player or coach, or even a pro who is looking to improve their game and get to that next level the Black Pearl Basketball Academy is where you need to start. I wish Cal all the best in this new venture of his and I know he wont need any luck as he creates his own through his hard work and determination! What can I say, at a young age this man showed me the basic fundamentals of basketball through the one and only black pearl coaching videos. I can remember winning a shooting comp and taking home a black pearl book. Not only is Cal a great basketball brain the man could hoop, he is a even nicer man. Having played in a NBL championship team with his son I know that this event will be something special. Good luck with it all Cal and make it a winner, I'm sure you will. In NY the elementary and middle schools are better known by their assigned number than by their name. Often they don't even have names. 231 was our middle school. It probably seems strange to most of the world including Americans who didn't grow up in NY, but if you mention 8 or 72 or 137 to anyone from Cal's region of NY it immediately releases a flood of memories... Anyway we played basketball half court 1 on 1, 2 on 2, and 3 on 3 everyday after school in the gym at 231. One great thing for mediocre players like me was that outsiders were excluded. That meant that we didn't have to compete against older better players. Our system of "winners" was not at all democratic. Outside of 231 was a full court where we played when school was closed. Sometimes a group of "older" guys would come along. Anyone in high school was "old" at that stage of our lives. They would ask the score of our games. The right answer was either "point up" (i.e game tied; 2 point advantage wins game) or something like 9-8. Our games were played to 11. Any other score would result in your ball being thrown over the fence out into the street. At that point your game was over, at least for us mediocre players. Cal was ALWAYS chosen because he had skills. The system rewarded the better players and Cal was definitely in that category. I have played with Cal at the NBL level and have known him for 33 years ever since he and Dan Hicket first arrived on Aussie shores to play for the Brisbane Bullets in 1979. Cal and Dan played with our Gold Coast Cougars Team at an invitational game against the Yugoslavian National Champions. Cal regularly came down to the well known scrimmage sessions at the Southport Stadium. After the pick-up games ended the sessions would continue with some serious 2 on 2 challenges amongst the boys including Frank Goldfinch, 'Johno' Grantham, Neil 'Bounder' Goldfinch, Mark 'Mugga' McGowan, myself and Cal. These sessions became even more interesting when Leroy Loggins and Tim Glass arrived to play with the Gold Coast Cougars in the Australian American Amateur Basketball League (AAABL). We can attribute a lot of our increased skill level and competitiveness to these and similiar intense training sessions which contributed to the Gold Coast Cougars winning consecutive State Championships, AAABL and Brisbane Club competitions for many years. There is no doubt that every player of any age will develop their skill level from playing 2 on 2 as this is the 'roots' level of where team basketball starts. With Cal's experience, passion and dedication to the game of basketball, this new concept "Bruton 2 on 2" tournament will steer any aspiring player to not only better their individual skills but learn to play with focus on reading the other players. Julie, Jordan, Dylan and I wish you all the best Cal for a very successfull inaugural tournament this weekend. In 1979 I met this little bloke when he came to Brisbane with his offsider Dan Hickert to play for the Brisbane Bullets. Here it is now 33 years on and I still Class Cal as one of my nearest and dearest friends.I have been to a Bruton wedding as he has been to a Williamson wedding. My sons have played with and against his and have won NBL titles with them. 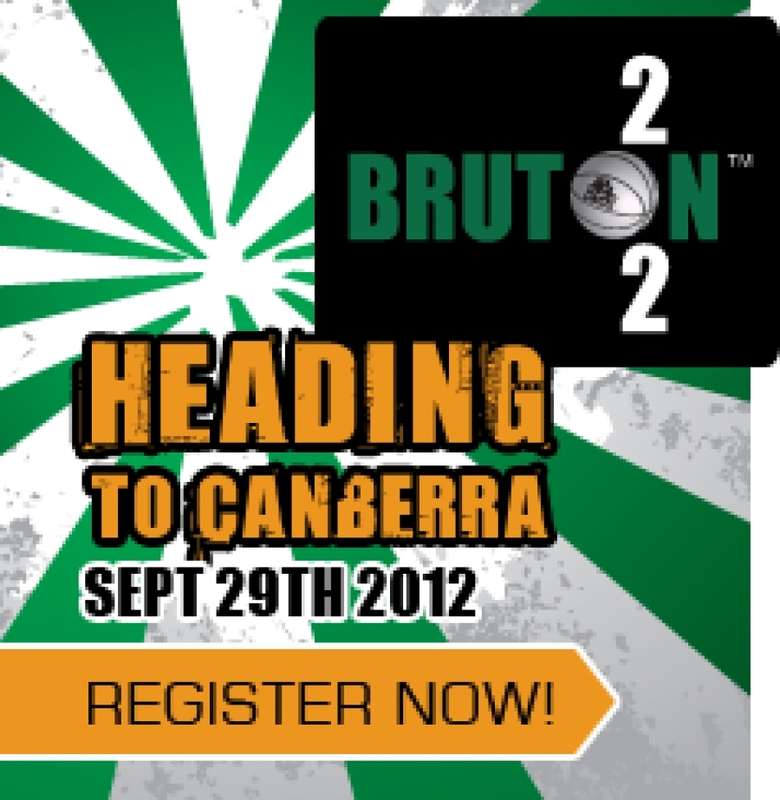 I'm very proud to call the Bruton family our friends and I feel quite sure that the Bruton 2 on 2 will be highly successful because in my opinion there is nobody else in Australia that would run something like this with as much enthusiasm and vigor as Cal will. I have watched Cal openly promote the wonderful game of basketball not only as an enjoyment but as a highly competitive energetic sport. I have no doubt that if Cal applies the same amount of drive to the Bruton 2 on 2 as he does to everything else in his life then it will be around for quite awhile and grow to be one of the premier events on the Australian Basketball Calendar.Well done and good luck mate.